POLITICS. I know, yawn worthy right? Wrong. Unless you've been living under a rock, you should be very, very aware that in only 8 days time we are having a general election! Meaning that potentially in just over a weeks time we could be sat here in the UK with completely different people in power. 'I should care about that because? ', you might be asking. Well, to put that into perspective, depending on who wins the general election next week, the amount of money you have to pay to go to university, whether your local youth club stays open, what GSCEs and A-Levels you can take, the age you have to be to vote (to name just a few), could be completely different! During the run up to the election there have been various debates going on which you have probably been aware of. But last night there was a very special and important debate which you probably didn't know about: The Youth Leaders Debate! 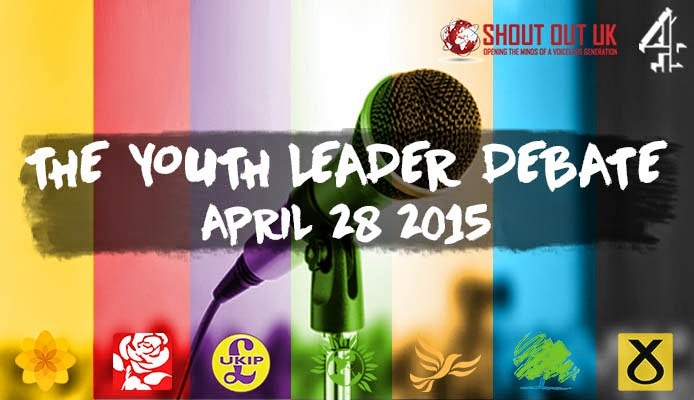 The first ever general election debate from young people, for young people. It wasn't broadcast on TV (which is such a shame) rather held online in a hard to reach corner of the Channel Four website, but it was BRILLIANT none the less. Passionate young people from the Greens, UKIP, SNP, Plaid Cymru, Lib Dems, Labour and Conservative all took to the stage in an hour and a half long showdown (like how I'm making this sound really dramatic). It was great because everyone in the audience was a young person and all questions were from young people, not a single old man in a suit in sight! Everything we care about was discussed: NHS, Votes At 16, Trident, Tuition Fees, Living Costs, the lot. It was so different to the regular televised debates from the adult leaders, for once there was actually some humour in there, it was fun, refreshing and above all inspiring! In this country we have a so many young people that feel really passionately about the world around them, that's AMAZING and something I feel we really need to showcase. Next time I would love to see the youth leaders debate televised. I feel that if it had of been, many more people would've been able to watch it and it would have hugely helped decrease the myth that we are all apathetic about politics! Now, a lot of you will be under 18 like me, and therefore not able to vote on May 7th. So what can we do to have our say? It's really easy to think that just because you don't have the vote, that you can't get involved in the world of politics. I'm only 13, yet I still do quite a lot for representing young people in politics, so I've complied a little list of things you can do to get involved! This is possibly one of the best decisions I ever made. Some of you may know that earlier this year I stood as a candidate to become a youth MP for my area (Fun Fact: The youth leader for the Greens is a former Member of Youth Parliament!). I was unfortunately unsuccessful :(, however in the process I got to experience a real political election and managed to engage with so many other young people who were all just as passionate about politics as me! I've since stayed on at my local youth council, where I attend monthly meetings and events where I get to tell people about all the issues young people in my local constituency care about, and share my views and opinions! You might be wondering how you can get involved in such groups, and really it's not difficult at all! Most likely you will need to check your local councils website and check the 'youth activities' section, where there should be contact information for the relevant people you need to speak to. If there's nothing on the website it might be worth giving your local council a ring to see what's up. The only problem might be if your area doesn't have a youth council (most do though! ), but this could be a great opportunity to create one of your own! If you can get enough people together and pledge it to your local council, or do it through your school / college then that would be fantastic! I often used to refrain from sharing political thoughts on my social media for fear that I would suddenly be inundated with people wanting to get in a huge argument with me! However once I realised that as long as you're polite, most people are happy to see young people engaging and won't mind having the odd chit chat about political issues! Another thing which is brilliant is Twitter Chats, they are usually hosted by larger users, last around 30-60 minutes and have the aim of discussing a particular topic or question. They are happening all the time and it's a great way to find other people who are also interested in the chosen topic (this tip can be used for anything, not just politics!). 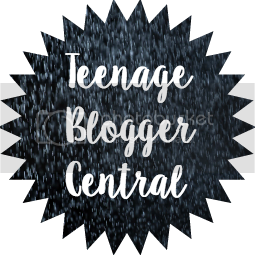 If you have a blog or youtube channel this can also be a good way to engage with possible new readers / viewers (just saying ;))! For example there was a Twitter Chat hosted by @emilymatters just after the youth leaders debate yesterday which I engaged in. Often Twitter Chats happen right after an event, so it's a good way of seeing what everyone's first impressions of something are! No, I don't want you to literally stand on top a building shouting through a megaphone! I mean that if there's something that you feel passionately about, there are things you can do to help change whatever it is that you don't like. I'm part of a group at my school called 'Overcoming Injustice' or 'Oi!' for short! We campaign regularly on different topics. Sometimes it's something just in the UK, like the amount of people using food banks (not that this doesn't happen all over the world though), and other times it's about something global, like the awful earthquake in Nepal that happened recently. Amongst our activities we've been writing to the government every week for just over three years, and you would be surprised with how many responses we get back! A couple of weeks ago we even had a reply directly from David Cameron! This is exactly the kind of thing you could easily set up at your school or college! Our club happens on a Wednesday lunchtime for about 30 minutes: someone writes the letter, everyone attending copies it out and the all get sent to number 10, and as it's student led it practically runs itself! I would be more than happy to write a little post on the exact practicalities of it all if anyone would like to set up a similar group as it's proved extremely effective! Finally, for those of you who can vote: PLEASE TURN OUT TO VOTE NEXT THURSDAY! Even if you don't agree with any of the parties standing in your constituency, it's better to turn up and spoil your ballot that not turn up at all, that way you're still standing for something! 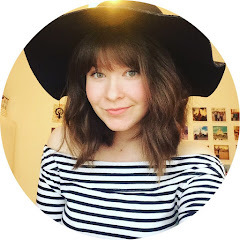 I realise this post was really long so I hope you managed to take all the information in, but as I said in my last post I really wanted to talk about the General Election and Youth Politics stuff so this was actually a really fun post to write! Feel free to tweet me @sarahzsay or leave a comment below (I practically live online so I will DEFINITELY reply!) and hope you are having an awesome day!